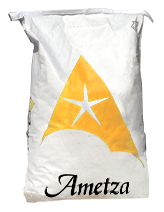 Our pellets provide superior nutrition for your animals. We offer four different formulas, each containing all natural ingredients. Our Alfalfa Pellets are an everyday feed for maintenance or moderate to heavy working animals. They provide complete nutritional needs without additional supplements, grain, or roughage. Our 50/50 Alfalfa Bermuda Blend Pellets are for light to moderate working animals that do not require any additional calories. They are blended to keep mature horses in good condition, while helping to support their immune system. 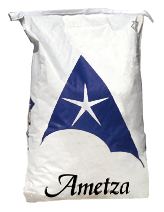 Our Artoa Pellets provide the same high fiber as our Alfalfa Pellet and also contain 15% cracked corn. 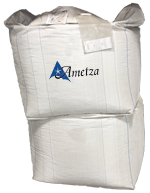 We keep the grain at this low level to minimize a variety of metabolic issues and to keep it safe for sheep. The formula is designed to ensure that your performance horses stay in top condition. Additional grains may be supplemented. Our Bermuda Pellets are an excellent source of energy, fiber, and Vitamins A & D but do not have an overload of protein. They are perfect for animals with allergies to Alfalfa or need a low protein feed due to metabolic issues. Pellets minimize diseases caused by feeding errors, such as colic and founder in horses. Pellets ensure your animal consumes all the nutrients it needs. Pellets require less room for storage and are easy to transport and clean up. Pellets eliminate fire hazards and protect your animals from mold, twine, and foreign objects sometimes found in baled hay.